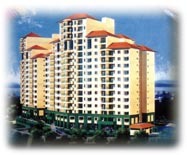 Lumut Valley Resort Condominium offers tranquil surrounding and the refreshing natural beauty of the coastal scenery. It is designed to be an exotic paradise away from the hustle and bustle of daily living. The lush greenery of Bukit Engku Busu Forest Reserve surrounding the 7.3 acres of the Condominium invokes an intriguing picture of luxuriant jungles, bringing you one step closer to mother nature. Scenes of river and green hinterland plus panoramic views of the Straits of Malacca and the Dindings Channel offer the residents breathtaking views of the surroundings. 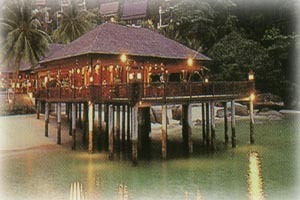 A 10-minute drive from the LVRC brings the paradise of peninsular coastal stretch, the beautiful Teluk Batik beach. The crystal clear water and golden sand add to the serenity of beach, which is an ideal place for pure relaxation. While enjoying the sea breeze and watching sunset, the visitors can choose to dine in Pangkor Island or even all our local dishes. Your stay will not complete if you leave Lumut and Pangkor Island without savoring its mouth-watering local delicacies. Easy and accessible strategic location to our place will not be a trouble for anyone of you with our guidance here. View the map by clicking on the link besides to have a clearer and bigger images. Copyright© 2002-2015 Lumut Valley Resort Condominium. All rights reserved.